Therapy is based on personal interactions to help a person change and overcome problems in desired ways. During therapy, an individual can learn about themselves, their moods, feelings, thoughts, and patterns of behaviors and interactions. Beginning therapy can be a big step toward gaining the healthiest version of oneself and one’s life. Good therapy should be tailored to the individual and their experiences, and at Revive our goal is to create the best fit possible between an individual and their prospective therapist. 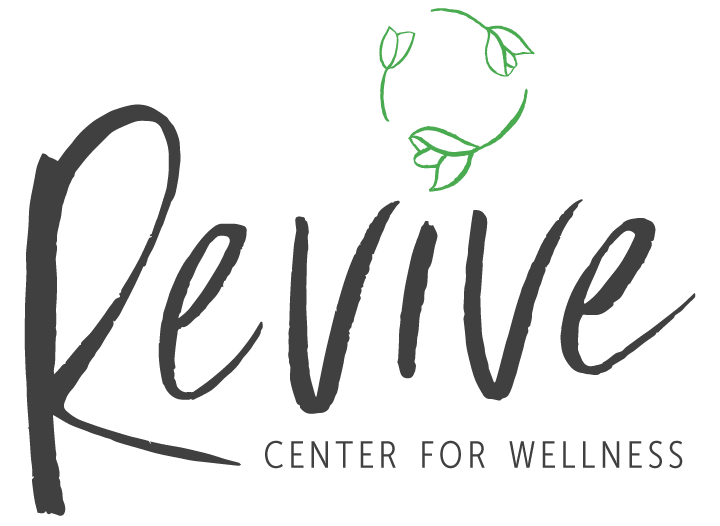 Revive Center for Wellness and our community of passionate wellness professionals specialize in getting you through the next step of your personal growth journey. We believe in supporting the whole individual. Therapy is just one facet of the many ways that Revive Center for Wellness is here to support your ability to find relief from feeling . . . . . . .
Anxiety and stress . . .
Low self-esteem . . . Feeling isolated or lacking community . . . The uncertainty of life transitions. Our therapists are constantly learning and growing to provide you with quality attention and expertise. They specialize in actionable, solution-oriented practices to understand where you are and then empower you to step into your best life. What’s more, Revive understands that empowerment can come from a holistic approach to wellness. Whether you need a therapist, nutritionist, fitness coach, or a life/career coach, there is a wellness professional here to help you. Click here to read about our other services. Are you ready to take steps to feel your best and live how you know deep down you can? If the Revive model feels like a good fit to you, click the button below to schedule an appointment with a therapist or counselor. Don’t live in Connecticut? We’ve got you! Did you know that many of our coaches and therapists work with clients online, too? Based on the information you provide, we’ll match you the right professional to see you through to your goals. Regardless of your schedule, we can find times that work for you. CAN’T COME INTO THE OFFICE? Work with a professional online from several U.S. locations! Our team of professionals has varied backgrounds with unique specialties. What we share in common is a collaborative spirit and a passion for empowerment. We work together to make sure that our clients receive all that they need to live their best lives. Click below to learn more about the team. Connect with the right professionals for your goals.